Goa’s street food market spells versatility as it not just offers lip-smacking dishes of crabs, squids or prawns, most of which are a reflection of its Portuguese connect, but also includes Maharashtrian, Chinese and North Indian varieties. Of all the places, North Goa’s Miramar beach, Mapusa, and Panjim Church Square as well as South Goa’s Margao, and Vasco are the famous street food hubs. 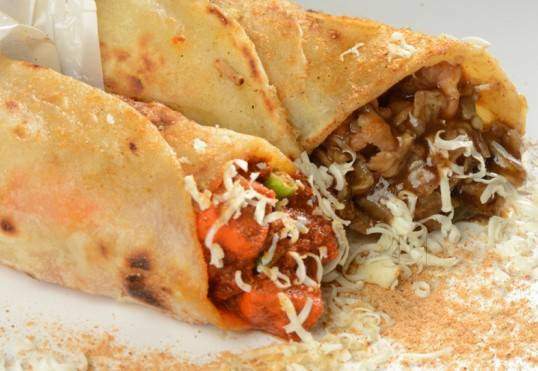 Read on to get a glimpse of the list of top street foods in Goa. 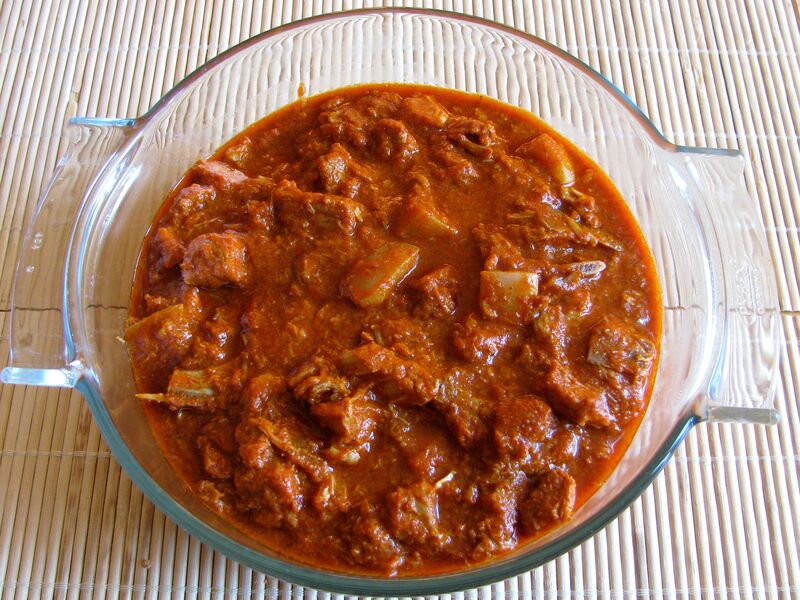 Especially famous among Goa’s Catholic community, choris is a spicy pork preparation made by seasoning precooked sausage in homemade vinegar, chilies, onions and sometimes even potatoes. Eaten with pav (soft buns), it is a favorite breakfast and tea time snack. Men and women selling choris pav on cycle as early as 7 in the morning is a common sight in Goa. Prepared from the husk of rice, poi is a small bread roll, crusty outside and soft within, eaten with butter or spicy curries. Of late, this traditional bread of Goa has been facing fierce competition from croissants, and sliced bread and efforts have been made on the part of the government to keep the tradition going by implementing a subsidy on the sacks of flour, and increasing the selling price. 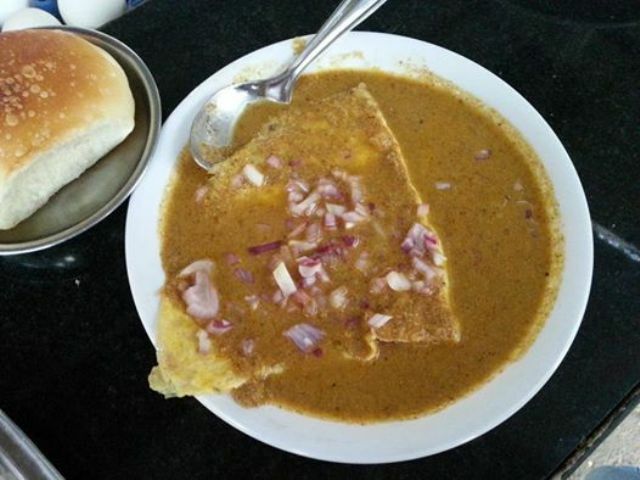 This is not just a simple omellete with spices and chilies, but its USP lies in the ros (Konkani word for gravy) mostly made from spicy chicken into which the egg is dipped, and further topped with onion and coriander leaves. 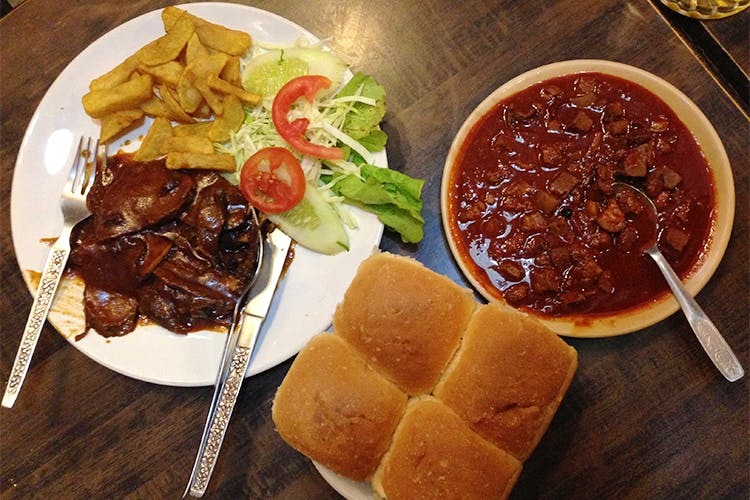 Goan pao serves as a perfect accompaniment for this delicious platter. 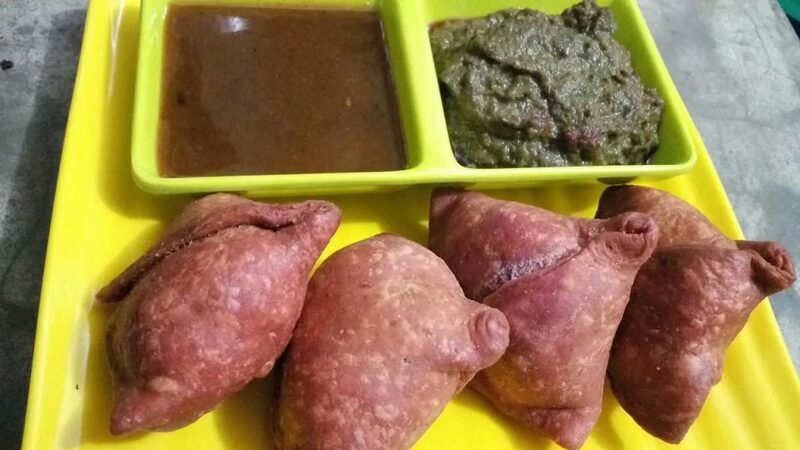 The specialty in Goa’s samosas lies in its fillings as beetroot, peas and also cabbage replaces the potato. 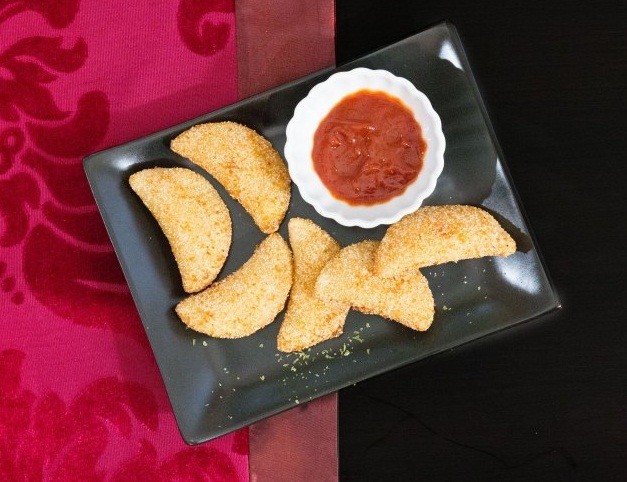 Mint or tamarind dips served with it enhances its taste further. 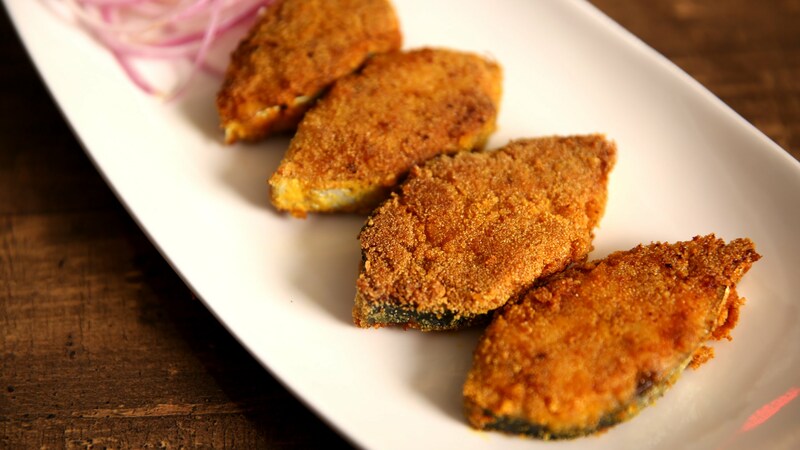 Seafood occupies a special place in Goa’s cuisine, and the famous rava fish fry, prepared by dipping fish fillets (prawns, Bombay duck, rockfish, red snapper, mussels) in a batter of rava (semolina) and seasoned with a whole lot of aromatic spices is indeed an instant hit. The golden or light brown crispy fries serve as a great side dish to feni (country liquor, exclusive in Goa) or a bottle of chilled beer. Kuttikar bar, Panaji; Sheila Bar, Vidhyanagar colony; stalls around Morjim, Palolem, Baga and other sea beaches. Though deriving its roots from Arabia, shawarma is one of the most popular and hyped street foods of the city. 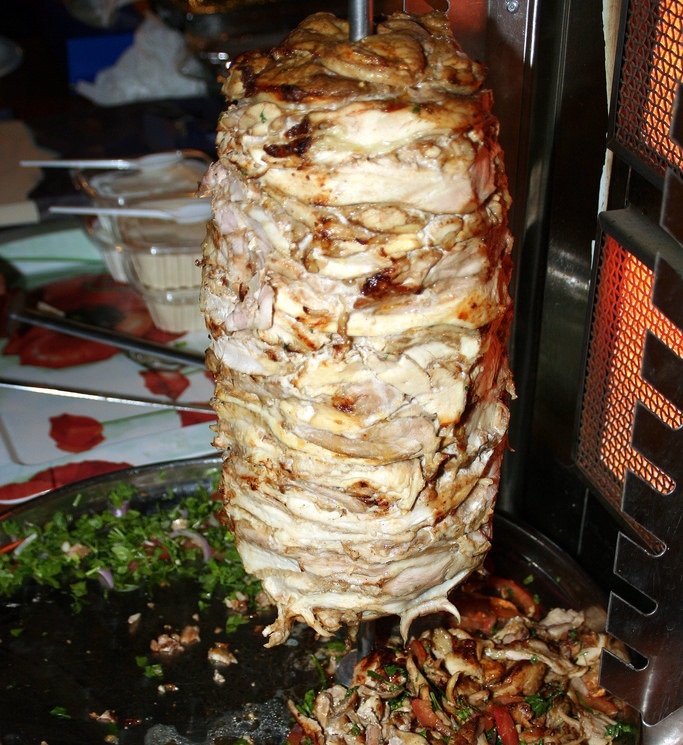 It is prepared on a vertical spin, by stacking pieces of lamb, beef or chicken. As the spin moves, the shavings are cut and served with mayonnaise, potato, and salad as a wrap or in buns. Tartar sauce or hummus often serves as toppings. Similar to Kolkata’s roll, it is prepared by frying a flatbread and stuffing it with eggs or chicken alongside different kinds of sauces. Popular during winter and Christmas, this mouthwatering pork curry becomes tastier when a whole lot of spices like ginger, dried red chilies, cinnamon sticks and garlic are added. 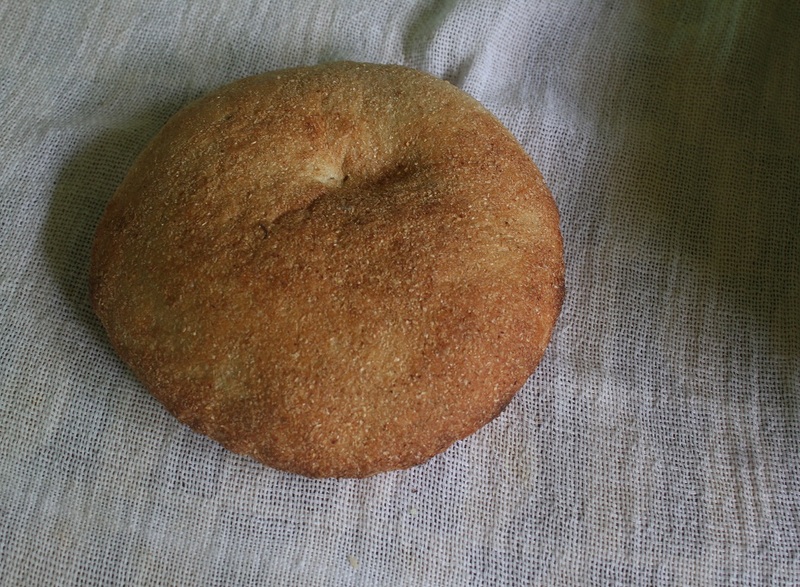 Bread, buns, rice or sanna (spongy, steamy rice cake) serves as accompaniments. Mostly sold during festivals like Ganesh Chaturthi, Diwali, and Christmas, it has shredded coconut, raisins, almonds, pistachio and cashew as its main ingredients. Crunchy outside and soft, and nutty within, it is often eaten as a snack, teamed with a cup of black tea. Influenced from Portuguese culture, the prawn rissois is a moon-shaped snack prepared from a flour-dough with a creamy stuffing of prawn. 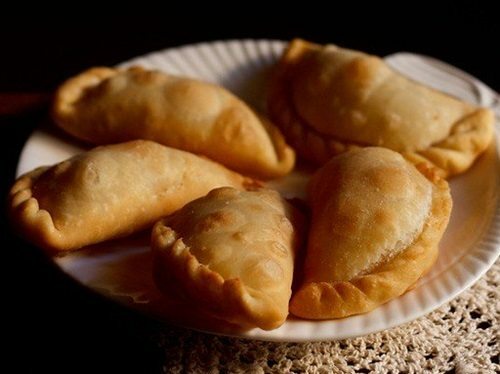 Rissois can also be made by stuffing squids, shrimp or crab paste instead of prawns. 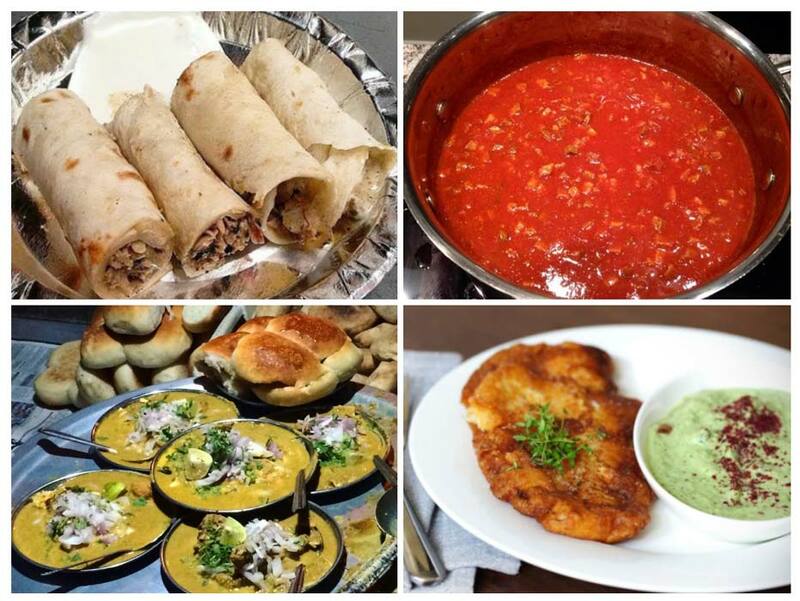 Goa street food varieties highlight upon its religious diversity, as it not just excels in umpteen non-veg delicacies, but also delights you with veggie savories like chaats, cutlet pav, vada pav, pav bhaji, panipuri, and bondas. During Ramadan, specific areas in Panaji, Margao and Mapusa house a variety of chicken dishes and sherbets. Chinese dishes like chili chicken and Hakka noodles are available in most outlets.